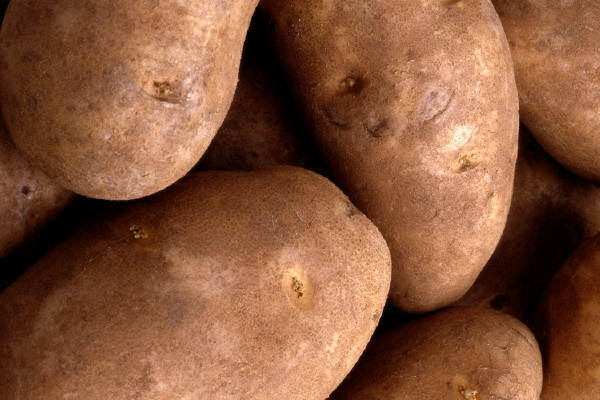 Wash and bake potatoes in microwave with skin on. When done, (as soft as a baked potato) remove from microwave and place under cold running water. When cooled enough to hold, peel the skin from the potato and place in large bowl, and mash with fork. It's fine to leave some chunks. In a frying pan, melt 2/3 cup of butter. Stir in diced onion and sauté just until tender. Remove to side of pan, and in the remaining butter, stir in the flour. Once flour is moistened and combined with butter, stir in the onions, add green chili and milk. Heat gravy until thickened, stirring as needed to prevent sticking. Add cumin, garlic and salt to taste. Pour approximately 1/3 of mixture into potatoes to moisten. On each flour tortilla, place several rounded scoops of potato mixture and a slice of the hot Velveeta cheese. Fold each end into the middle, and roll to form burrito. Place burrito seam side down on plate. Smother in green chili gravy, top with sharp grated cheese or more Velveeta. Garnish with Cayenne pepper for those that like it with a little more kick! Microwave burrito until cheese is melted. Serve with sour cream, hot Picante and salad mixture on top of the burrito. My family has enjoyed these since they were tiny little kids. It is one of the "comfort" foods that they still enjoy today! These are fast and easy and melt in your mouth! They are much better than they sound! Spicy hamburger and green chili in a rich tomato base, served over corn chips. Everyone then tops the mixture with their favorite fresh toppings... sharp cheddar cheese, shredded lettuce, avocados, fresh diced tomatoes, black olives, sour cream, salsa, etc. This is a hit with teenage boys with huge appetites!